If you are looking to plan a birthday party in Minneapolis, you need to know where to throw it and what is going to be the most exciting option for everyone that is attending the party. 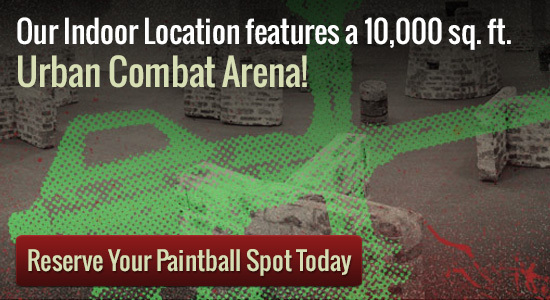 While you are going to have all sorts of different options, your very best bet is to look for a paintball facility like Splatball. With Splatball, you will have the best birthday party in Minneapolis that is great for everybody 9 years aged and up. Chances are, once you bring them out to the Splatball location, you are going to find that we have everything that you might want in terms of birthday parties, and the facility offers up all of the required equipment that you might need, so you don’t have to worry about going out and purchasing all of the required gear so everyone can play, it doesn’t matter the age of the participants or what kind of events they like to take in. Which is just too expensive to is and do why the facility at Splatball is great for kids birthday parties. No matter if you and the birthday party boy or girl adores paintball or this will probably be the first time to them, chances are this party function will likely be something that nobody within the celebration forgets any time soon. In fact, this kind of a celebration is a that will be exceedingly enjoyable, not forgetting it will permit your and you friends to get outside, and acquire straight down and filthy. Very few additional options for birthday celebration in Minneapolis allow you to do that, which is precisely why you should look at a paintball birthday celebration to celebrate with family and friends. We are capable of running private games 7 days a week, and can accommodate groups of nearly any size. Please call us at 612-378-0385 if you have any questions or if you would like to reserve a time. Please call ahead in advance as reservations are required.